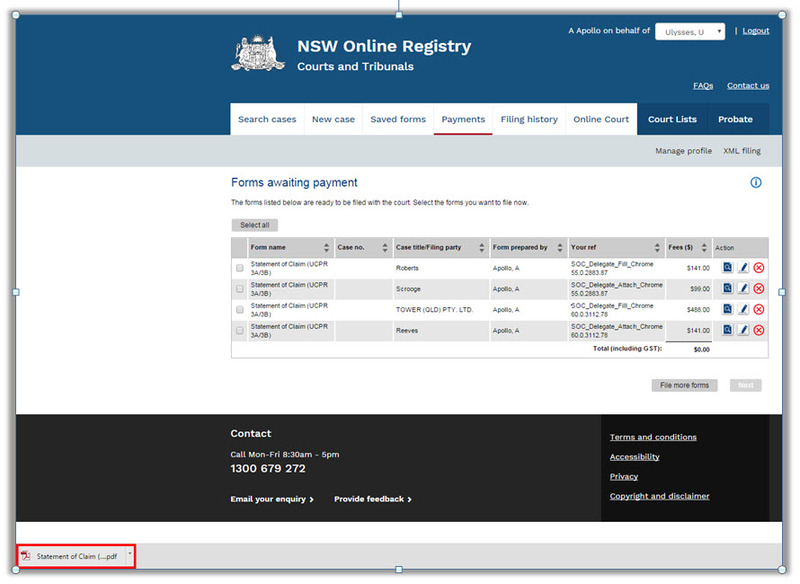 We’re making some changes to the NSW Online Registry that come into effect on 12 May 2018. We’re upgrading our system to improve services to our clients. Generally, the forms will look and feel the same, but there will be some minor changes that you may notice. 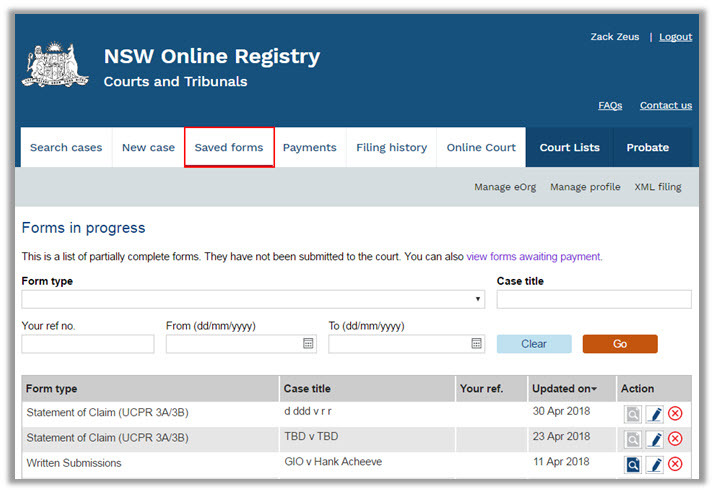 Prior to 12 May 2018 any forms in the Payments tab that are ready for payment will need to be submitted to the court. Following the upgrade, payment forms will still be available, however you won’t be able to view or edit any forms that were created prior to 12 May 2018. If you’re not sure that the information on the form is correct, you should not proceed to payment. Instead, delete the form and create it again. Saved forms created prior to 12 May won’t be available for filing post-implementation. 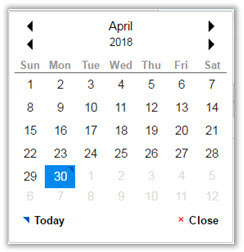 If you have any saved forms you want to submit, you’ll need to submit them prior to the implementation date (12 May 2018). Select the Saved forms tab to view your saved forms. Some browsers (e.g. Safari, Chrome) will allow you to elect auto-fill. This means the browser will anticipate the data to be entered in some commonly used fields (e.g. address fields) and will auto-fill those fields with data. Please ensure that any data automatically entered is accurate before submitting your form.